White Oak Pediatrics offers pediatric care and travel vaccination to the citizens of Maryland at Silver Spring and Gaithersburg. We are a team of well qualified pediatricians having years of experience in this medical practice. We offer our medical care services to infants, children, adolescents, and young adults for over 30 years. 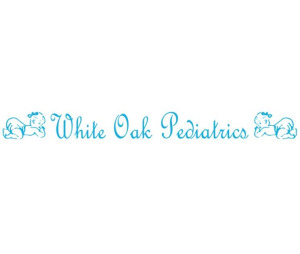 We at White Oak Pediatrics provide pediatric facilities and care that is systematic and well-organized. Pediatrics often includes repeated visits and to keep a better track of the child’s medical record, we maintain a patient portal where we update the medical details after every visit and this portal can be accessed by our patients. We offer a holistic pediatric medical care which covers children of all age, right from 1-2 weeks to 10-11 years. Be it Hepatitis B, Tetanus, Polio, Influenza, Measles or any other medical problem, our pediatricians are experienced to treat all of them. We also offer combo vaccine preparations which treat a number of conditions together as children have to get all the vaccinations they are supposed to without fail. Our doctors will guide in the right path and help keep your child free from diseases with proper vaccination. White Oak Pediatrics is a designated site by the State of Maryland for the administration of Yellow Fever as well as all other travel vaccinations. For more details about us, visit http://www.whiteoakpediatrics.com/ and http://www.whiteoakpediatrics.com/meet-our-providers/.